Sing Me a Story is a unique toddler program designed for young children (ages 2-3) to explore music, literature, and arts. This 8-week program meets once a week on Friday morning for 90 minutes. 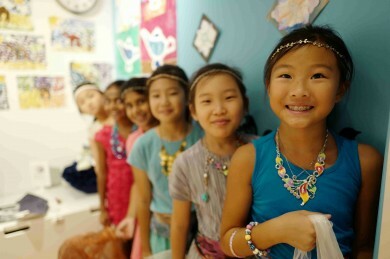 Classes are designed to encourage music-making, imaginative play through interactive storytelling and active learning. 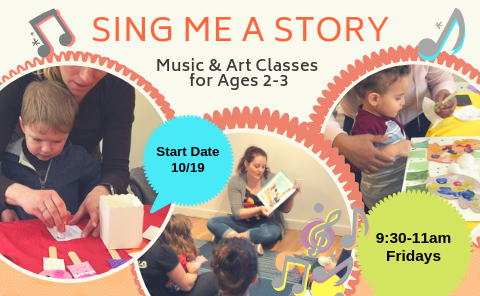 Each class will include a movement warm-up, sing-alongs, a new or classic children's story, as well as various music activities designed around the story of the day. In addition, our young artists will also explore a variety of age-appropriate art materials and activities in each class. With parent's assistance, students will be introduced to multiple activities such as painting, drawing, stamping, pasting, cutting, stringing beads, peeling stickers, collaging, playing with clay, and more. Each class will have a different theme based on the story introduced in the music portion of the program. Space is limited. Please R.S.V.P. by email or call 201-205-1121.